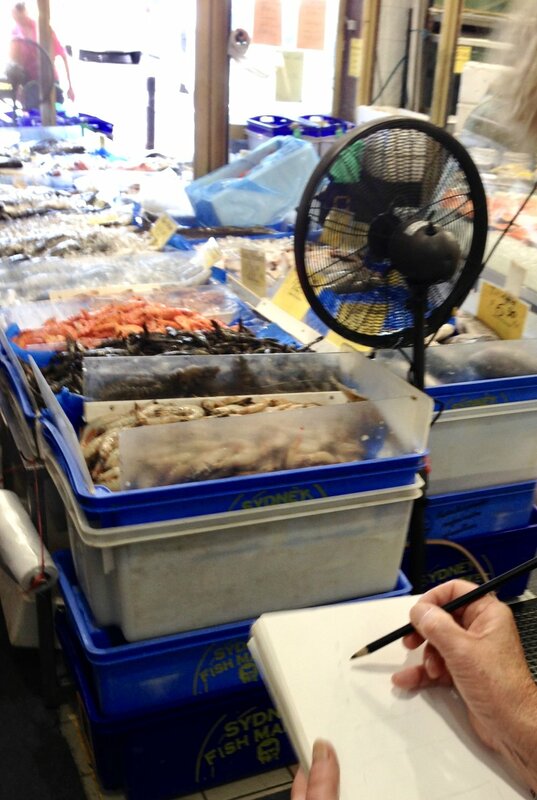 We met at The Sydney Fish markets Di Costi for the freshest Sashimi in town. Then we headed to the outside tables by the harbour to fight with the seagulls over whose sashimi it really was. 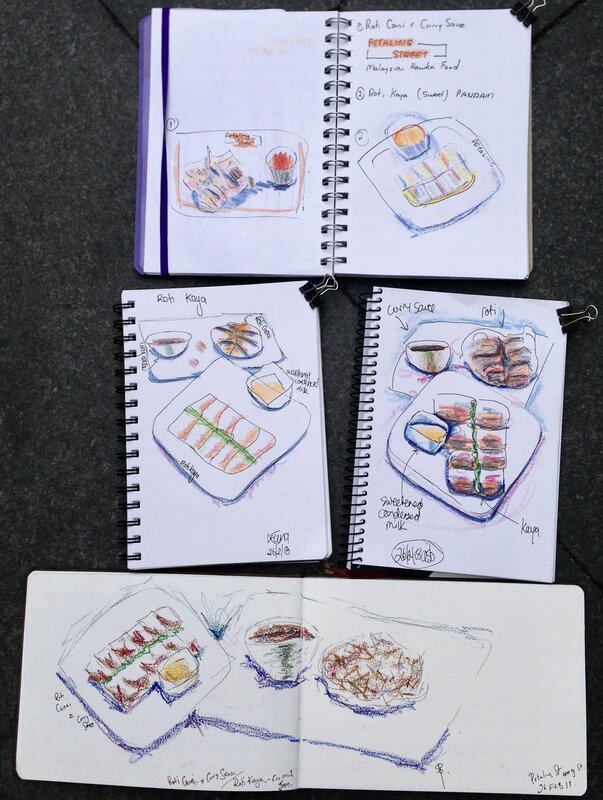 We had to queue for some Japanese grilled scallops, and fight for a table, but luckily it was a sunny pleasant day, and sketching whilst in the queue calmed our frustrations! 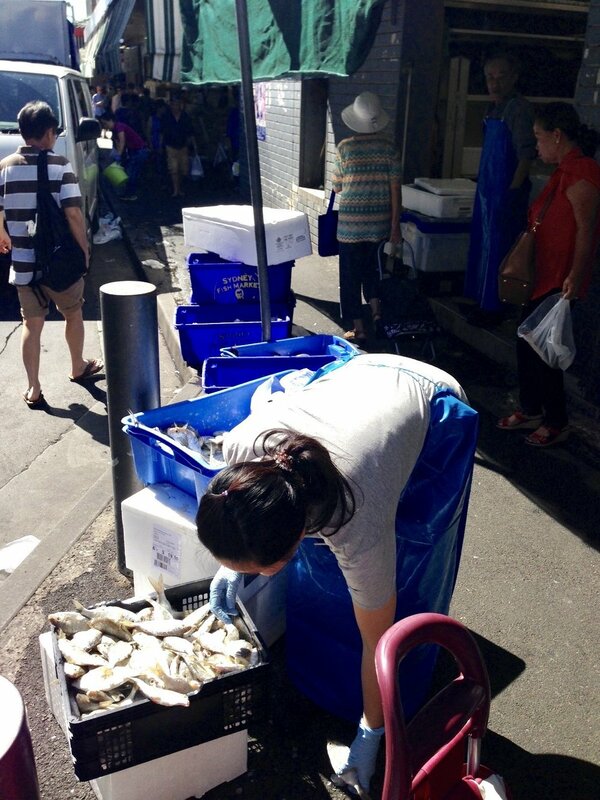 I hope The Sydney Fish Market can pick up its game. Many vendors have succumbed to popular demand, and the sushi was far from the divine sushi it used to be a few years ago. Too many imports and not a delicate cut in sight. I am happy to report though that De Costi still has the same fresh high quality seafood as always. 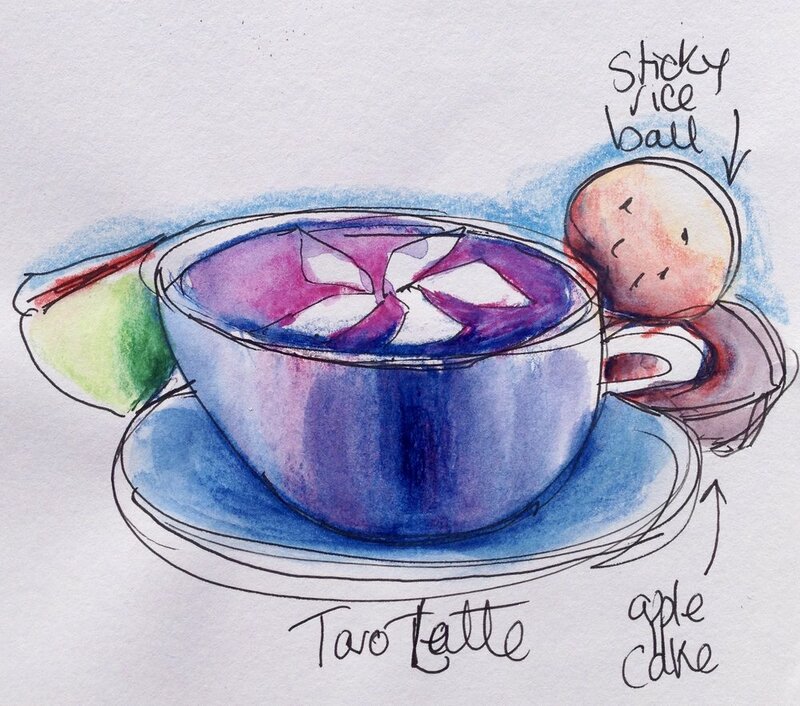 Take a look at some of our sketches. Pretty good for complete beginners I must say! Well done. 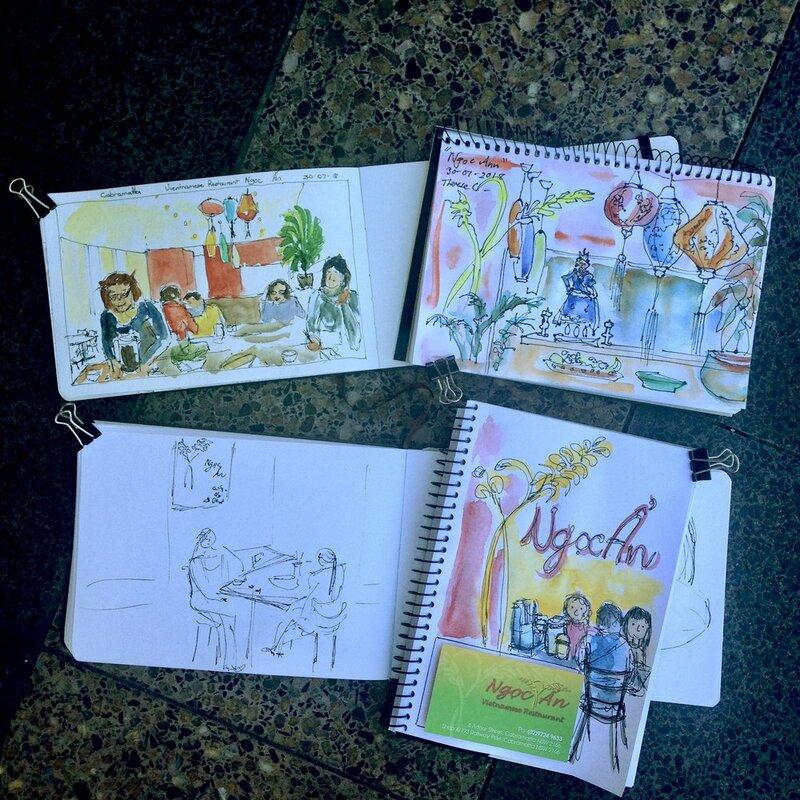 We ate dosa and idly whilst learning about the essential travel sketching skills. 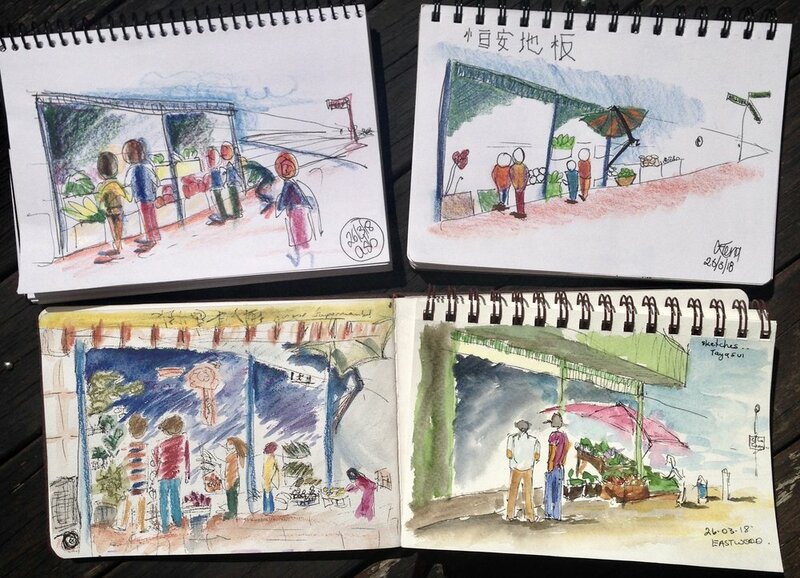 Indian beats play in the background, spices waft, and brand new aquarelles were our tools. Take a look at what absolute beginners can do! 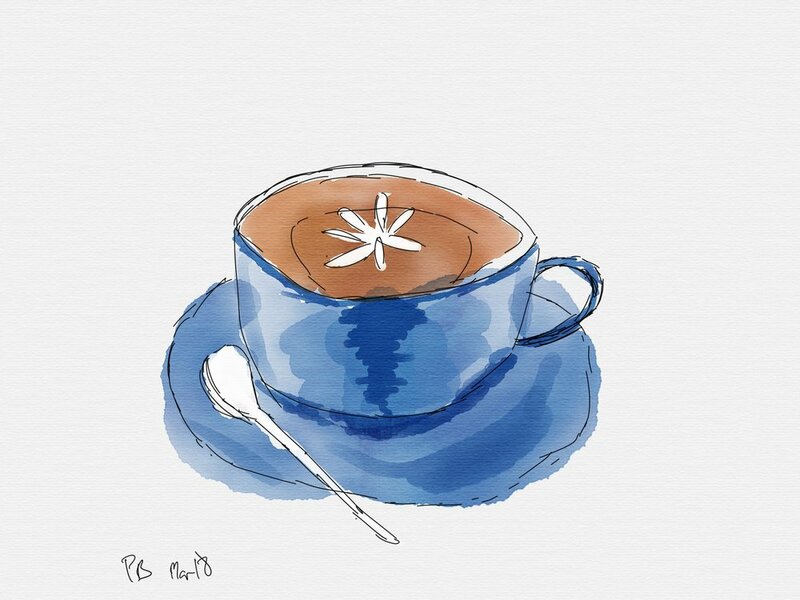 We also had Pete sketching on his ipad pro with an apple pencil. We met on a gorgeous sunny day in Eastwood. 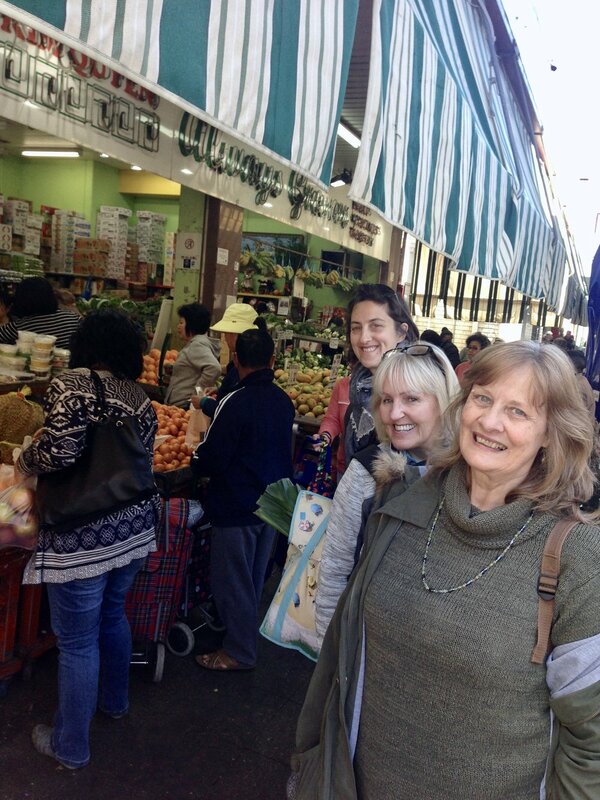 First I took our group to a friendly local pop up market where the vendors sell a variety of fresh seasonal fruits and veg. The energy of this market means we had plenty to capture. We tackled 1 point perspective, scribbling simple human forms and getting a sense of the depth of the space amongst the hustle and bustle. It was a 15 minute sketch, then off to some street food. Topokki in Korea is one of the most popular streetfoods. 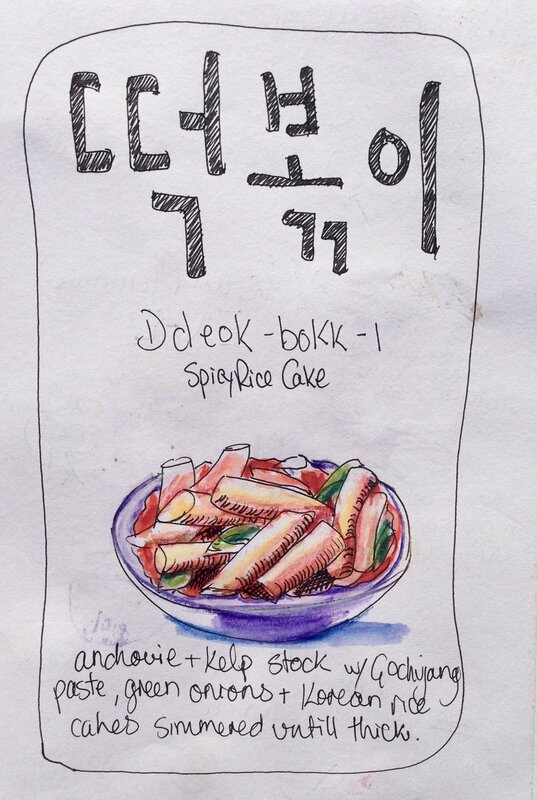 Its made with the dense chewy cylindrical rice cakes, plently of gochujang (a fermented rice chilli paste) and this version had cabbage and fish cakes in it as well. 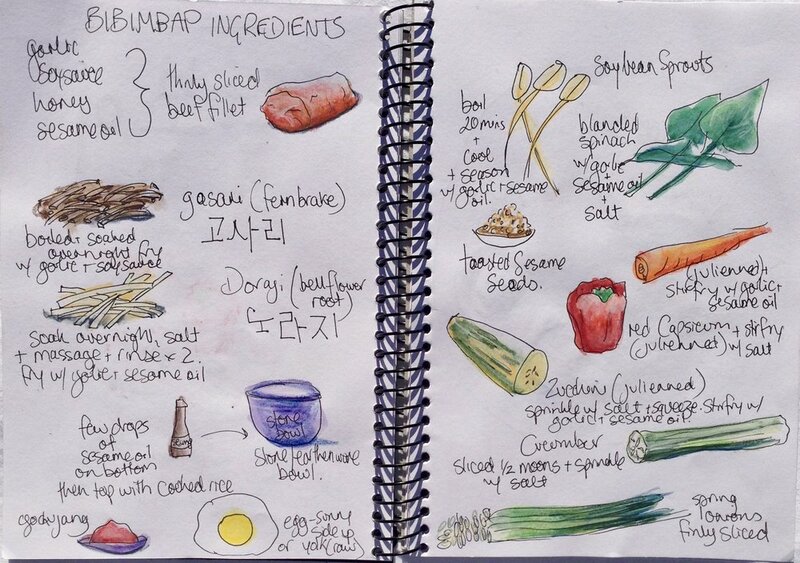 Some of us loved it, and some were happy to sketch and leave their portion behind! 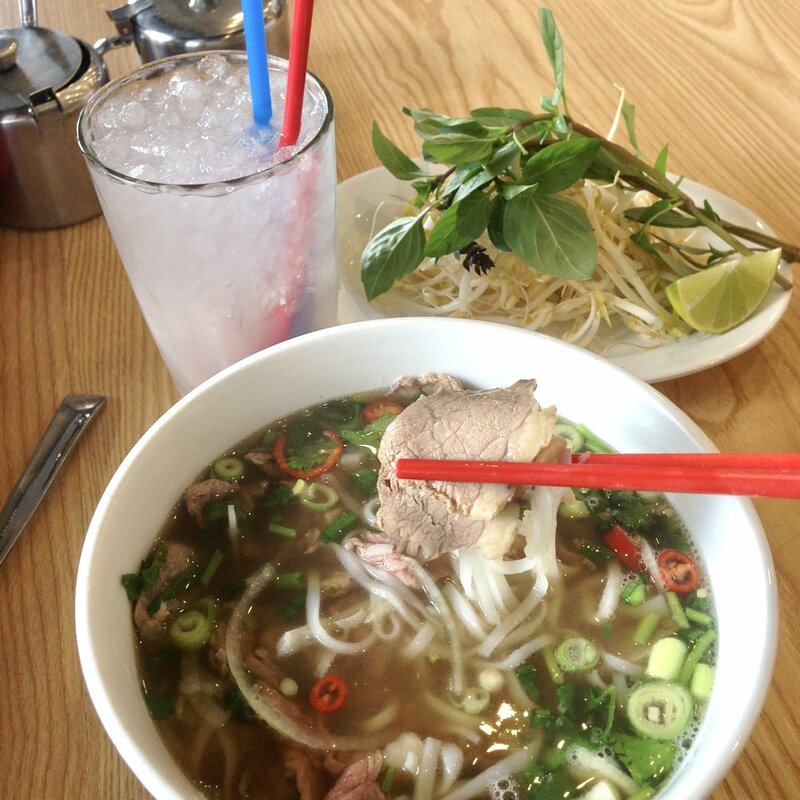 Korean food is one of those cuisines that does not always win everybody over immediately! 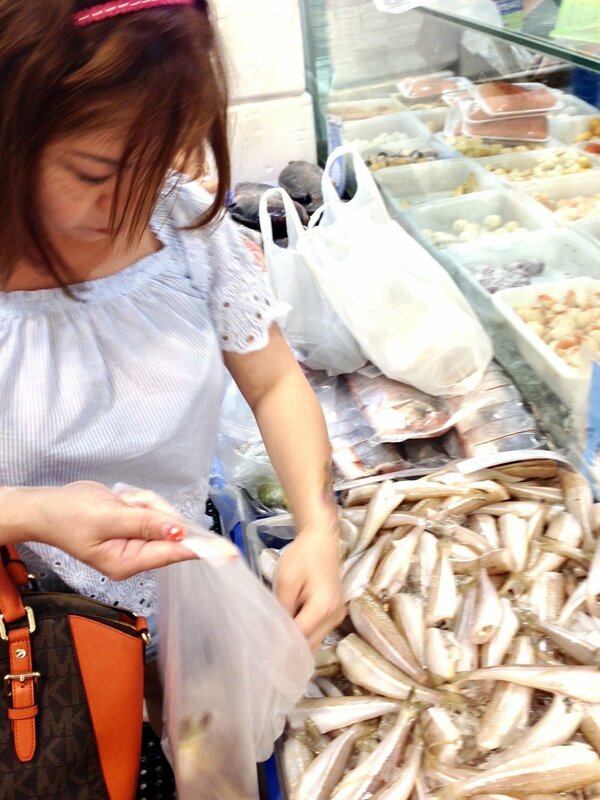 Next we headed to the Korean side dish store where we choose from a great big variety of classic Korean side dishes that are typically eaten with every family meal. 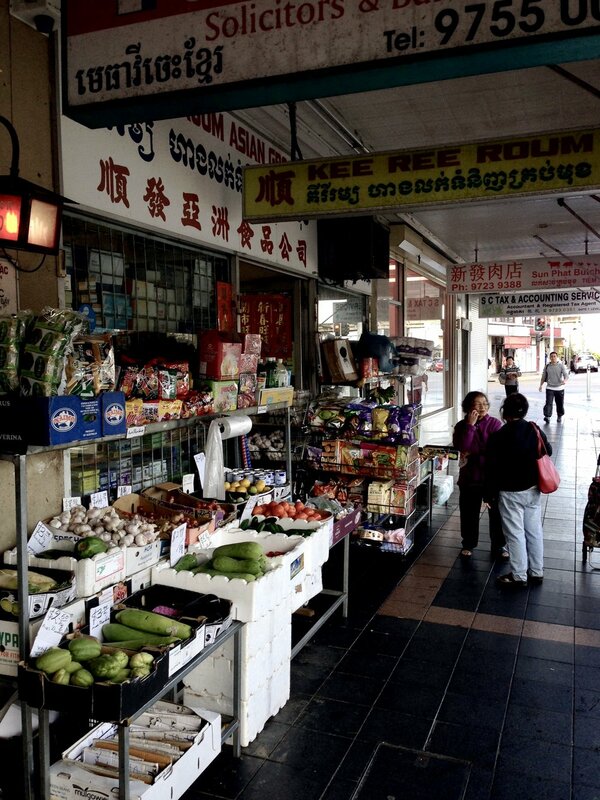 This shop also sells a big variety of kim chi. 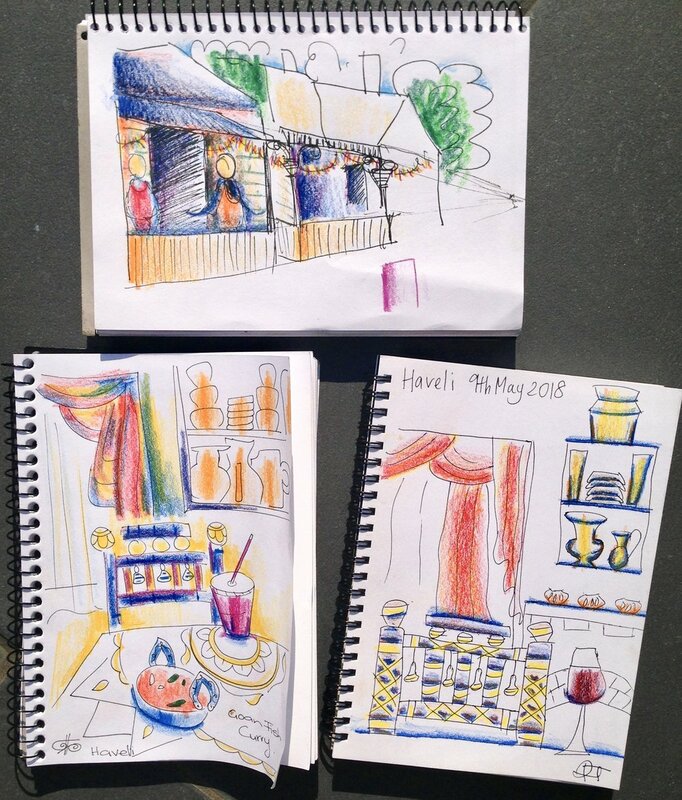 After I filled my Erin Hill Sketching bag with a fermented things such as chillies and lotus roots and dried radish, we headed to a sweet little dumpling house for handmade dumplings. 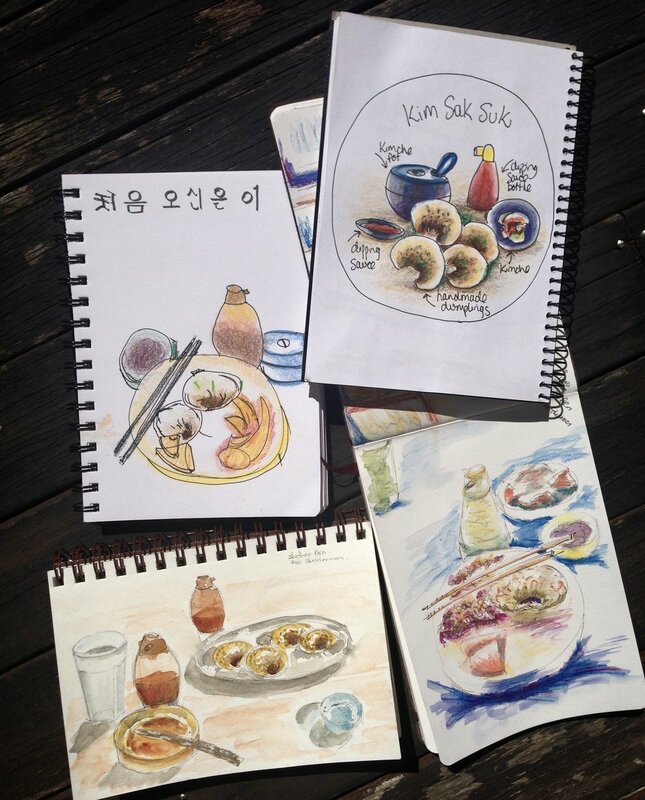 Here we had a relaxing sit and sketch and talked about all things Korean food, whilst looking at tone, colour, shape and perspective in our sketches. Finally it was time for cake and coffee. 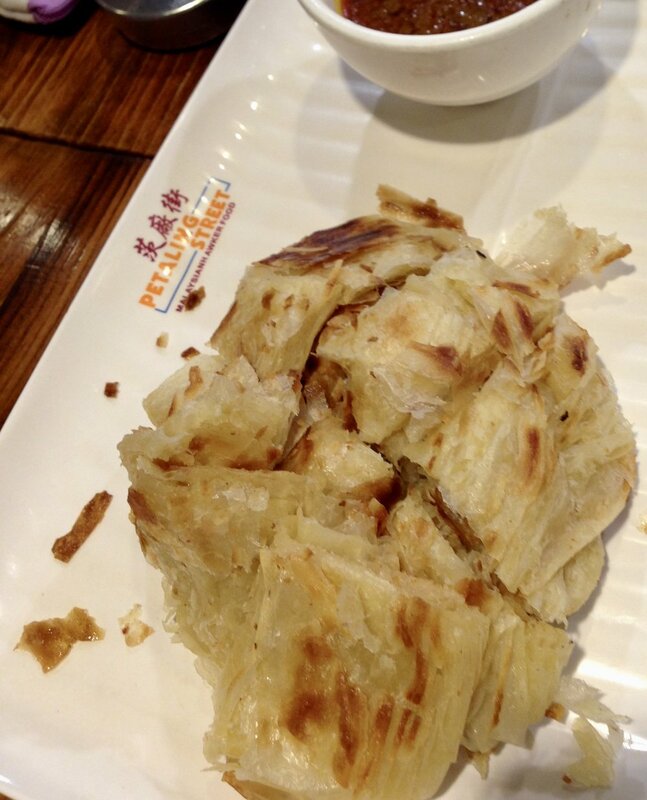 Those who were still game tried the sweet potato latte, the yam latte, the citron tea and the red bean cinnamon pumpkin buns. Those who had experienced enough of a new cuisine for a little while were happy with a cafe latte. All delicious, and a fun group and happy day! Take a look at out sketches below. 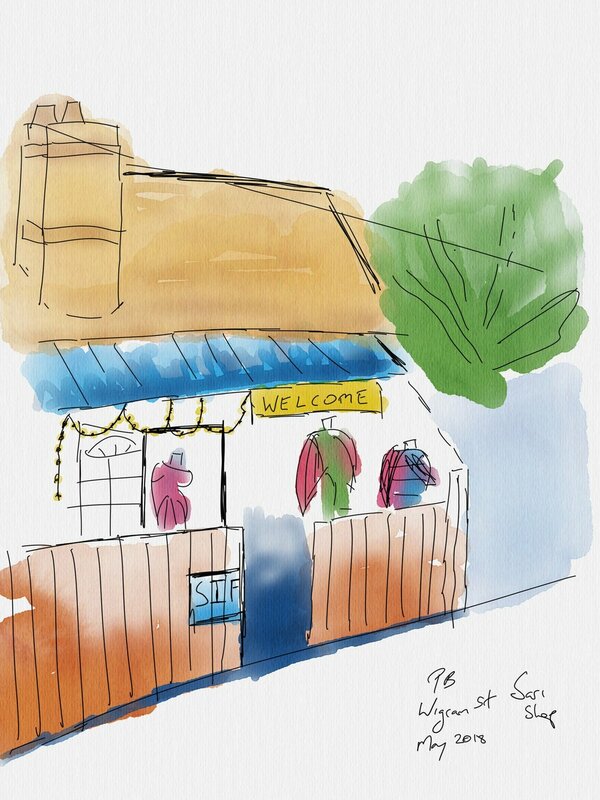 We also had a sketcher who was using his ipad and an apple pencil. 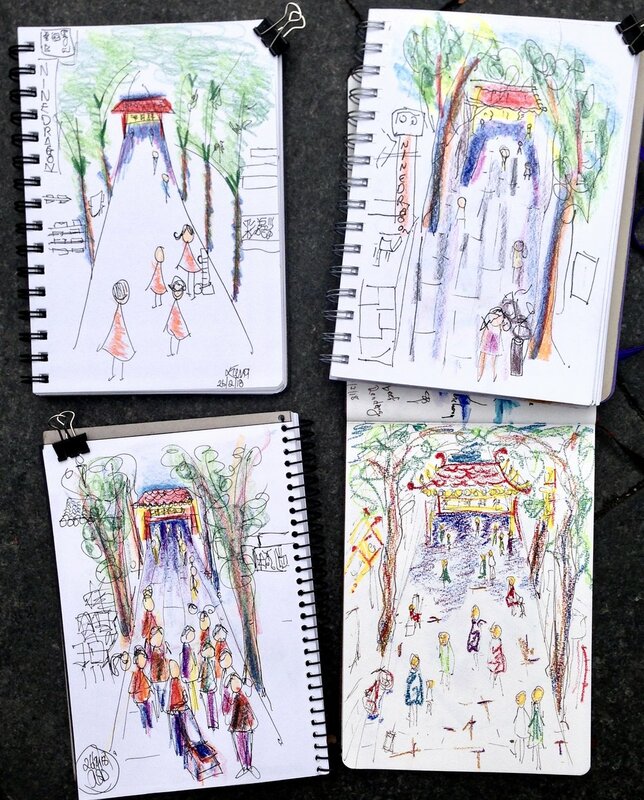 Wonderful results for a brand new sketcher! Well done everybody. 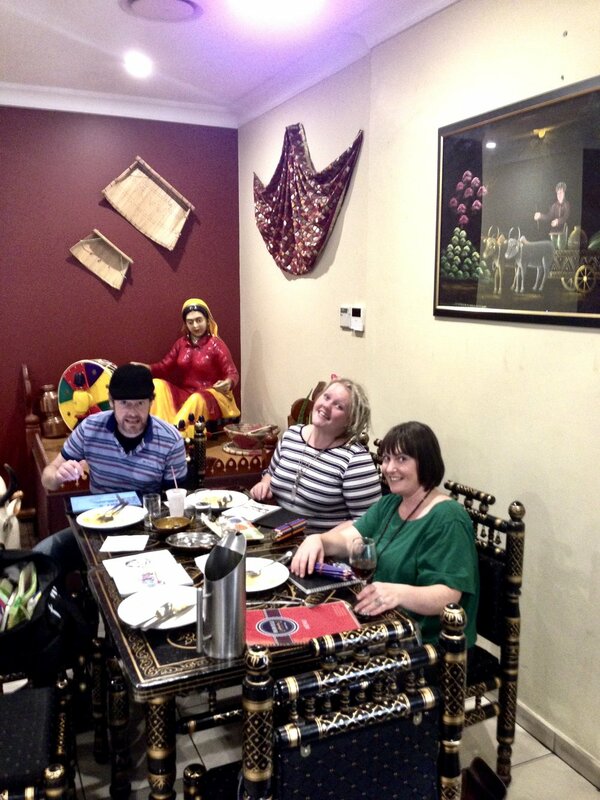 February was Malaysian Sketch&Lunch. 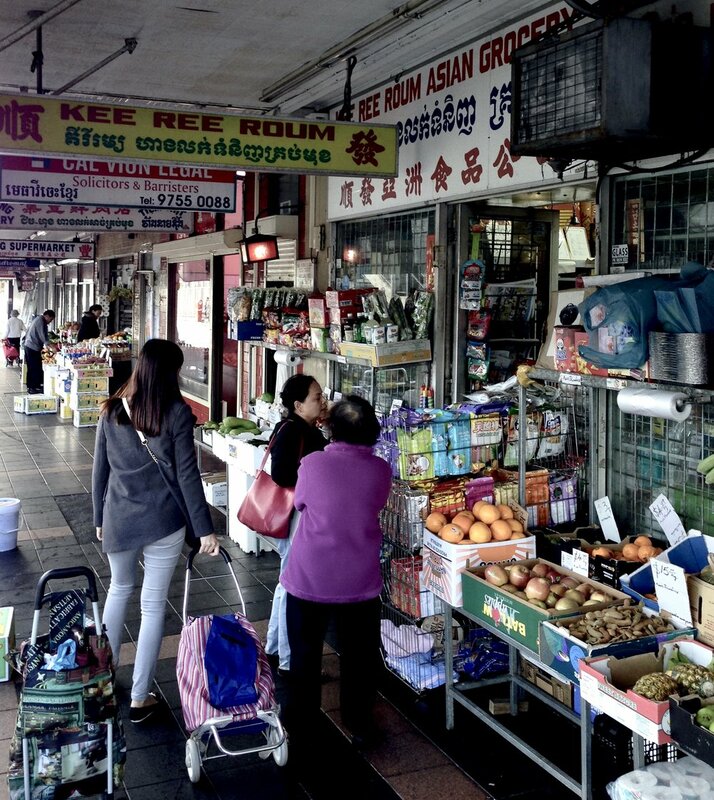 We had a ball in Chinatown, Sydney. The Nasi Lemak at Ho Jiak (a relatively new Malaysian streetfood restaurant on Hay St) was absolutely delicious! 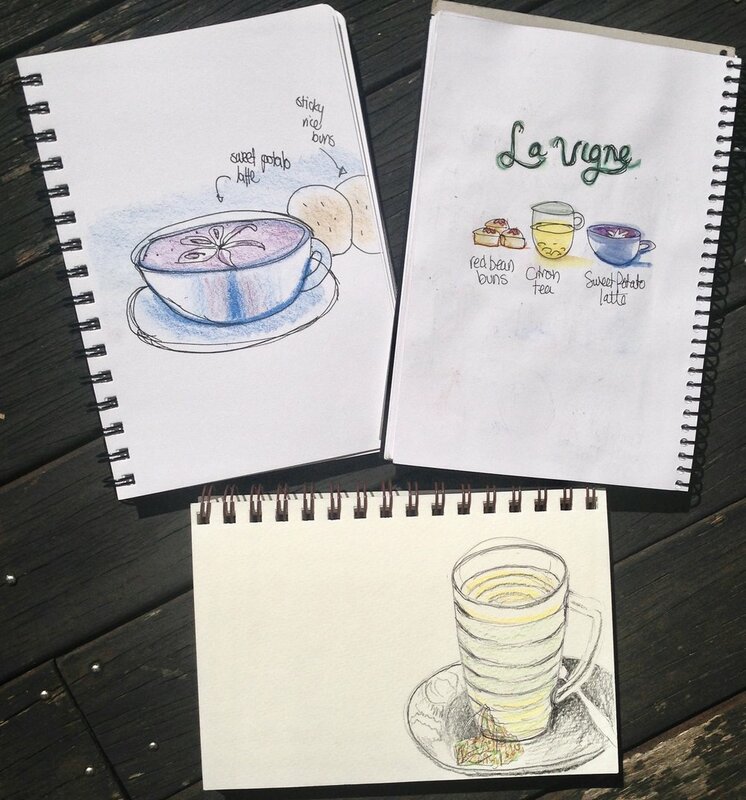 The wagu beef rendang was to die for so was the the Char Kway Teow (a rice noodle dish with king prawns and the "breath of the wok") We ate with relish whilst learning to sketch ellipses and capturing the cups of tea and coffee Malaysian style. Next we headed out to capture the energy of the street. The main street of Chinatown is a walking street, so its a perfect place for people sketching and a great place to stop and learn all about 1 point perspective. 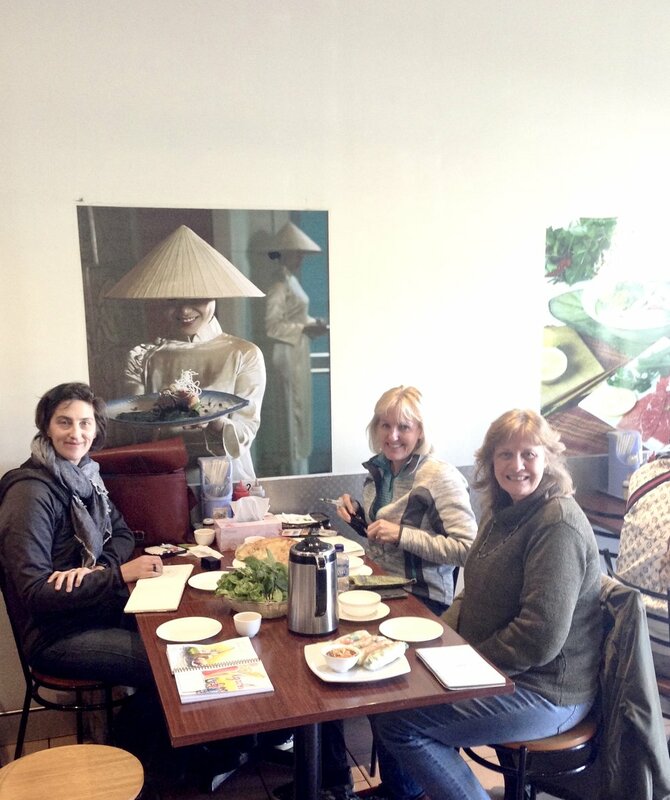 This month our Sketch&Lunch was held in Cabramatta featuring Vietnamese food. It was a rare scorcher of a day, and things certainly heated up in the markets! I took our students to one of the older more authentic cafes for a Ca Phe Sua Da (Vietnamese iced coffee). 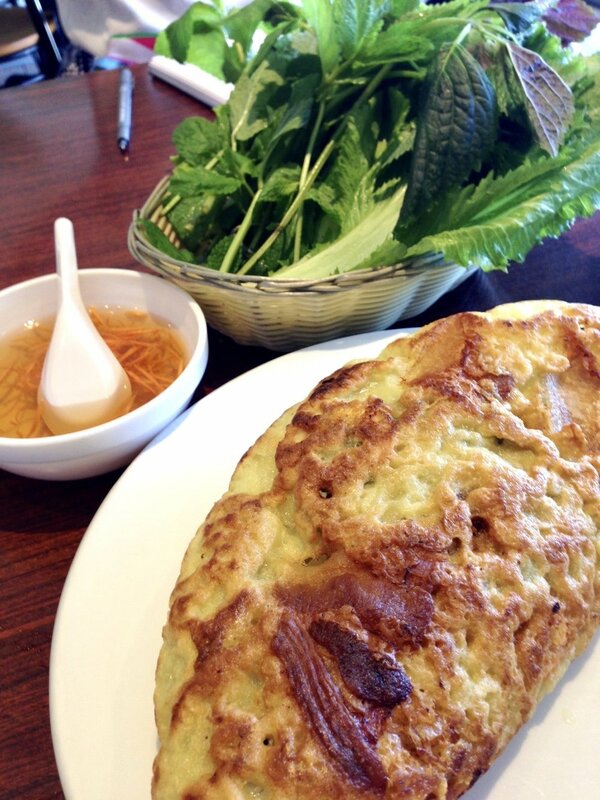 Here we sketched Vietnamese herbs. 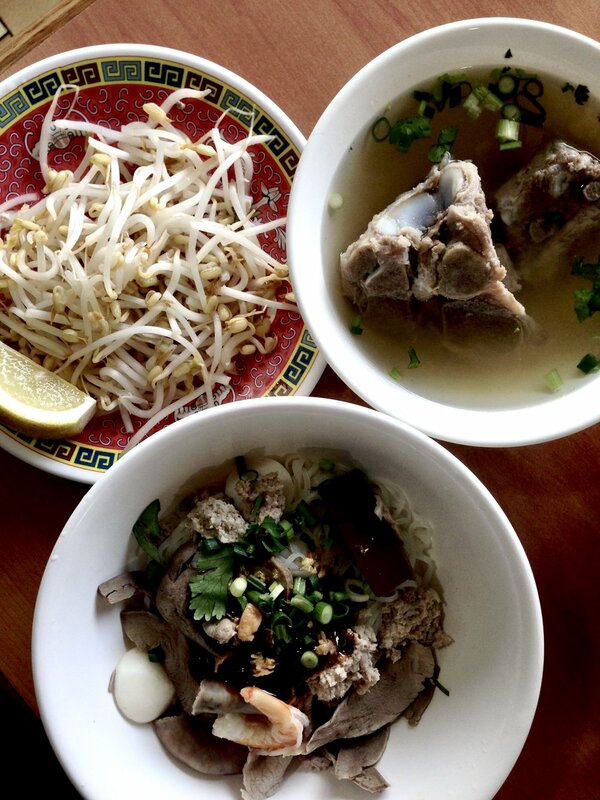 We tasted , touched and smelt them first, then leant what the Vietnamese names were for them. 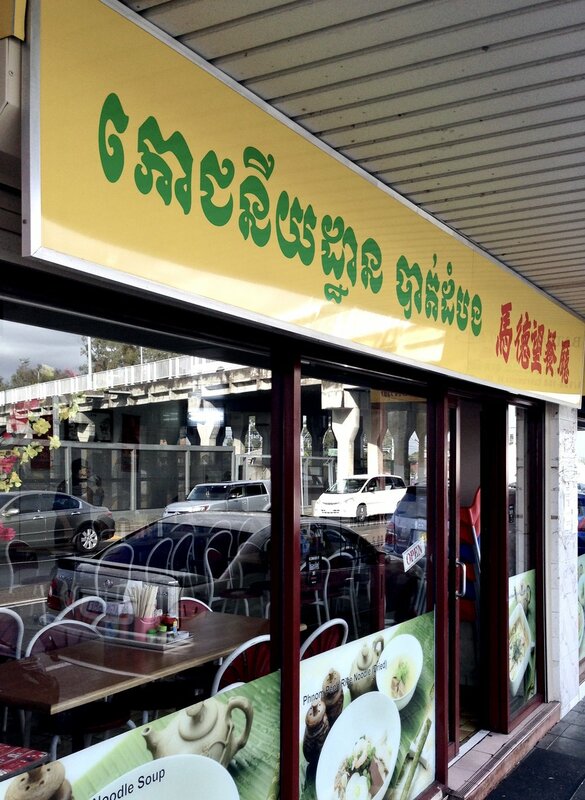 Next we headed to Eastland Supermarket where my friend Thai (the owner) talked openly about meeting Luke Nguyen for dinner in Saigon this December and do I want to come?! 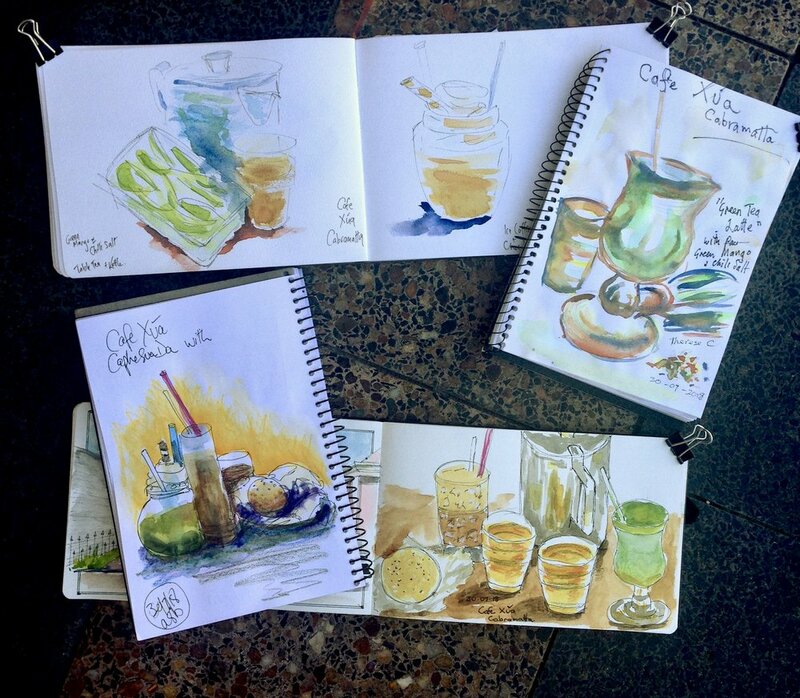 Why don’t you come to Hoi An and meet the Erin Hill Sketching holiday group I insist?! We will sketch you both! Oh how jealous he made me. We talked about rice noodles, and I helped students buy some key ingredients for a delicious Vietnamese Roast Chicken recipe I have given them. 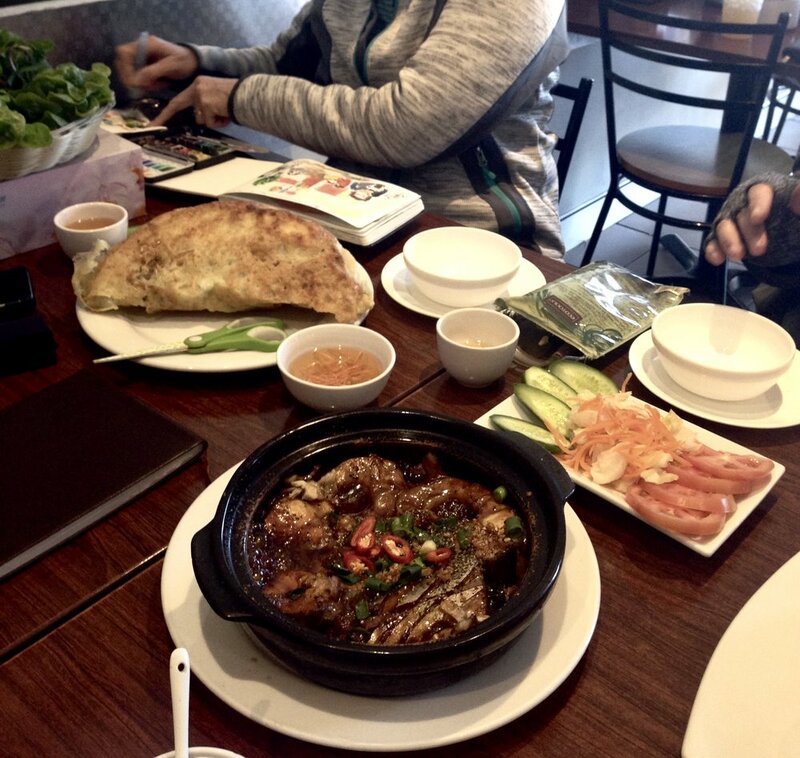 After a quick walk through the busy fruit, vegetable and seafood markets we headed to a relaxing spacious air-conditioned restaurant. 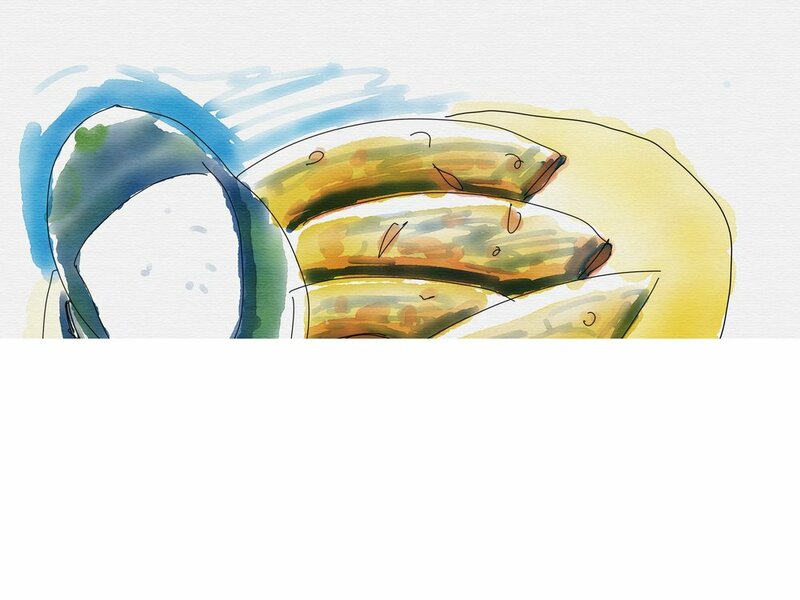 Over a crispy Banh Xeo (Vietnamese pancake), some Vietnamese rice paper rolls and some prawns on sugarcane we sketched away, learning about how to capture the essence of the place, the food and how to roll rice papers!